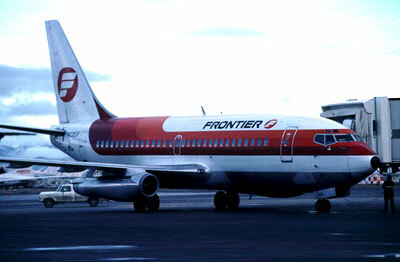 Frontier Airlines was established and founded in 1934 with primary hub at Denver International Airport. The airline company operated as a low cost aircraft carrier in the United States and is owned by Frontier Airlines Holdings, Inc. Through its Denver hub, Frontier Airlines, with its affordable fare operates scheduled flight services to 48 destinations in 29 states throughout the US and also flies to 7 cities in Mexico. Its code share agreement with Great Lakes Airlines extends its regional service to the surrounding Rocky Mountain States. Frontier Airlines is considered to be the second largest jet carrier operating at Denver International Airport. The airline company serves an average of 250 flight departures and arrivals daily. Flight schedules, fares and seat availability of Frontier Airlines are displayed in the well known global distribution systems (GDS). Frontier also provides e-ticketing systems from these distribution systems which include names like Amadeus, Worldspan, Galileo and Sabre. The airline also offers other types of electronic distribution. Example will be internet or traditional travel agencies. Frontier Airlines officially launched Lynx Aviation, a new division of the holding company in May 2007. The new subsidiary airline will operate 10 Bombardier Q40 aircraft for its flight services. Frontier Airlines passenger fleet consists of 66 aircraft are mostly of Airbus and Bombardier types. Frontier Airlines has code-share agreement made with Great Lakes Airlines for its connecting flights through Denver International Airport and Phoenix Sky Harbor International Airport. The agreement covers a total of 39 cities in 9 states across USA. Another code share agreement is with Horizon Air. The airline operates regional jet services known as Frontier JetExpress using nine 70-seat Bombardier CRJ-700 aircraft.